Resigned or Fired? Does it matter? President Donald Trump has indicated he is weighing the fate of Deputy Attorney General Rod Rosenstein. “My preference would be to keep him,” Trump said at a news conference in New York on Sept. 26 when asked if he planned to fire Rosenstein. “I would certainly prefer not doing it.” From a legal and procedural standpoint, it can matter whether a political appointee resigns or is fired. A few days before the president’s news conference, a New York Times story suggested that in the spring of 2017 Rosenstein mentioned he might secretly tape the president in the context of the 25th Amendment, which provides for removal of a president for being unfit. The story rekindled news reports of the president’s unhappiness with the No. 2 official at the Department of Justice, who because of the recusal of Attorney General Jeff Sessions oversees the investigation into Russian meddling into the 2016 election and other matters by Special Counsel Robert Mueller. Rosenstein strongly denied the report, and Justice aides have said that if anything was said it was in jest. 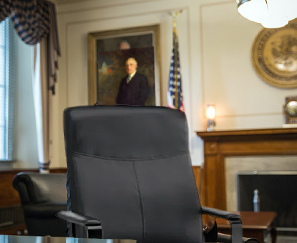 For now, Rosenstein has continued in his position. But the dust-up focused attention on a little-noticed law called the Federal Vacancies Reform Act of 1998 (FVRA), which covers many of the some 1,200 executive branch positions that require Senate approval under the U.S. Constitution (Article II, Section II). However, the law does not address a departure resulting from a presidential firing. In 1999, a Justice Department memorandum providing guidance to agency general counsels underscored that uncertainty. “In floor debate, senators said, by way of example, that an officer would be ‘otherwise unable to perform the functions and duties of the office’ if he or she were fired, imprisoned or sick,” the memorandum said. But Senate debate does not automatically translate into law. In March 2017, the U.S. Supreme Court clarified in a 6-2 ruling the prohibitions on who could serve as acting officers if the president has nominated them to fill a vacant position. The court, however, has not addressed the issue of whether FVRA applies to a firing. The issue came into play this spring at the Veterans Affairs Department when President Trump fired Secretary David Shulkin, and named Pentagon Undersecretary Robert Wilkie to serve as acting secretary. At the time, the White House argued that Shulkin resigned rather than was fired — a point the former VA secretary publicly contested. A suit was filed, and eventually Wilkie was confirmed as secretary but only after he stepped down as acting secretary because he did not fit the protocols of FVRA. Earlier this year, a Congressional Research Service study underscored the significance of adhering to the letter of the law. It said that a federal court, acting upon private suits such as the one filed in the VA case, may nullify any actions taken by the head of any agency who is found to be serving illegally. In other words, if an acting agency head was found to be illegally appointed, any action that he or she took could be voided. So does it legally matter whether a Senate-confirmed presidential appointee resigns or is fired? It could, given the ambiguity of FVRA’s text and the possible legal battles that could lie ahead.